I’ve been an avid cyclist for 27 years. In that time I have witnessed my share of bike related gimmicks, trends, and genuine innovations. I’m also that guy who used to mock every new advancement in the bike industry as if I earned points for being the grouchiest of the retro grouches. So, it was almost a conditioned response when someone rolled a fat bike under my nose and I blurted out, “oh, boy. 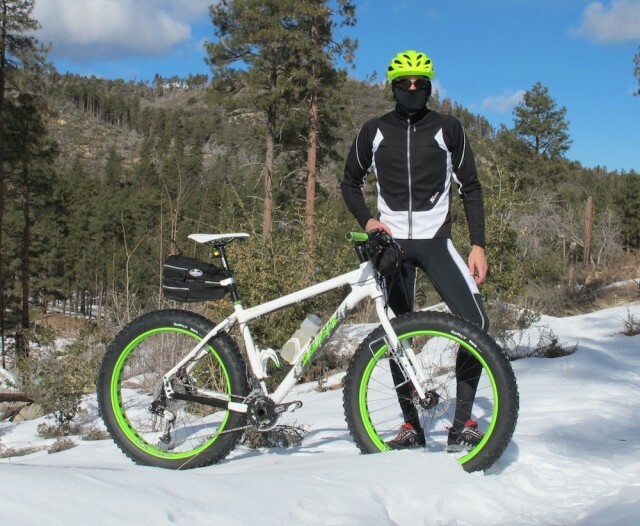 That thing looks ridiculous.” I wanted to hate fat bikes out of force of habit. Then I hopped on one and it was a done deal. I was hooked. 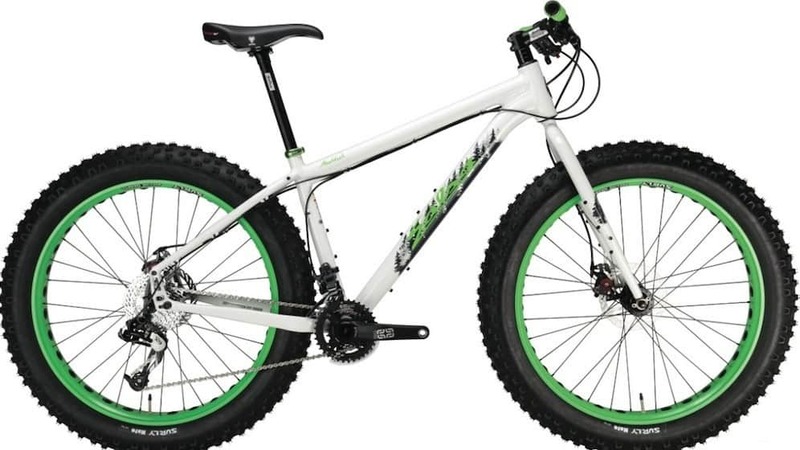 A fat bike is a time machine. It delivers you to your childhood years when bikes made you giggle. Looking down at that massively fat front tire rolling over everything like something out of a Dr. Seuss book brings back the whimsy of riding a bicycle. After my first four hour ride in fresh snow on a fat bike, my legs didn’t hurt and my lungs were unfazed. My cheeks however, hurt like hell. Four hours is a long time to smile like a fool, laughing aloud as I crushed snowflakes and trundled down the vague outline of trails that I had ridden hundreds of times before. If Peter Pan had a bike, it would have 3.8 tires; of that I’m sure. 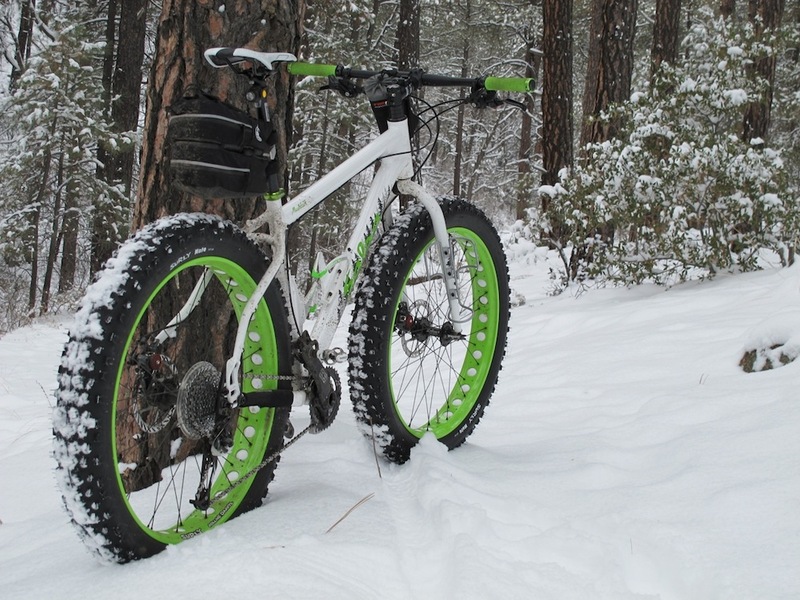 The 2013 Salsa Mukluk 2 is my fat bike, my time machine. 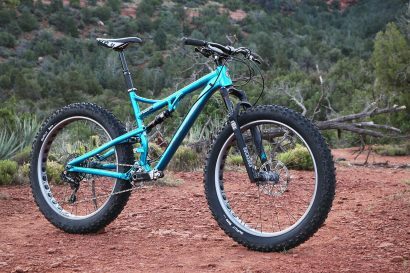 It is a fantastic example of where the fat bike segment is headed and a declaration that this niche will not be niche for long. Fat bikes are here to stay, and stay they should. 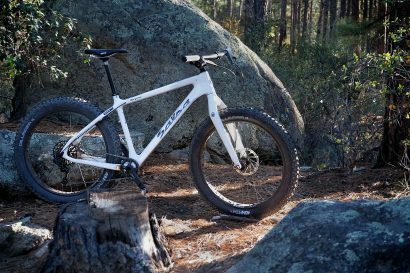 The Mukluk 2 is built around a beautifully sculpted aluminum frame with all the swoop and elegance of a refined race whip. The rear stays open up to accept not just a big tire but an insanely massive 170mm rear hub mated to Salsa’s Alternator adjustable dropouts. The Surly Holy Rolling Daryl rims provide an 82mm perch for the plump 3.8, 120 tpi Surly Nate Tires. E-Thirteen cranks specifically designed to accommodate the extra width of the bottom bracket are protected by an MRP bash guard. In short, no detail in the build of the Mukluk 2 was overlooked. This is a beautiful bike, both in its mechanical sophistication and bold aesthetic statement. 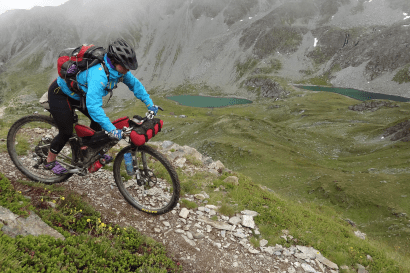 In motion, the Mukluk 2 is a contrast of attributes. It lumbers along undaunted in 6” of snow, but when it hits open trail, it rails with authority reminding you that this is no saucer sled, this is a bike with proper mountain bike DNA. At times I’ve found myself mid turn, driving hard, tires growling, not yielding an inch. The traction is astounding on dry trails, reminding me that this bike is not just for snowy days, although that is were it is most fun to ride. It’s a wonderful machine. Not that my love for bikes was fading, the Mukluk 2 reminded me why I ride bikes in the first place. It’s damn good fun. Thank you Salsa.